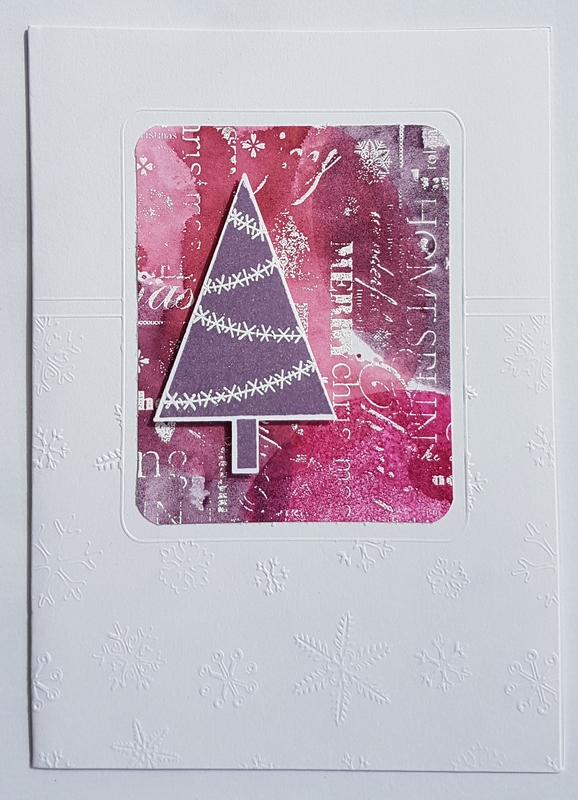 All of the backgrounds were created using an old Papermania background stamp and stamping in versamark and then heat embossing with white powder. 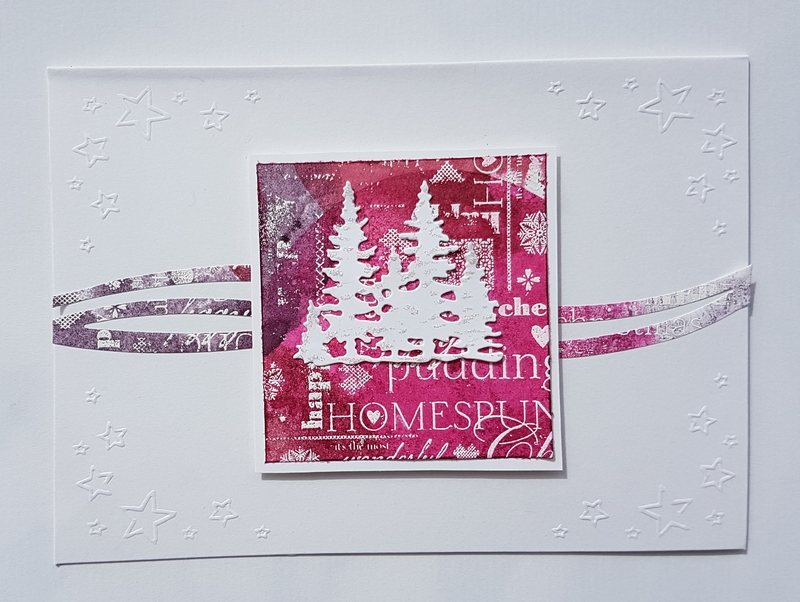 I didn’t do a clean job of stamping it but it didn’t matter for the purpose of these backgrounds. 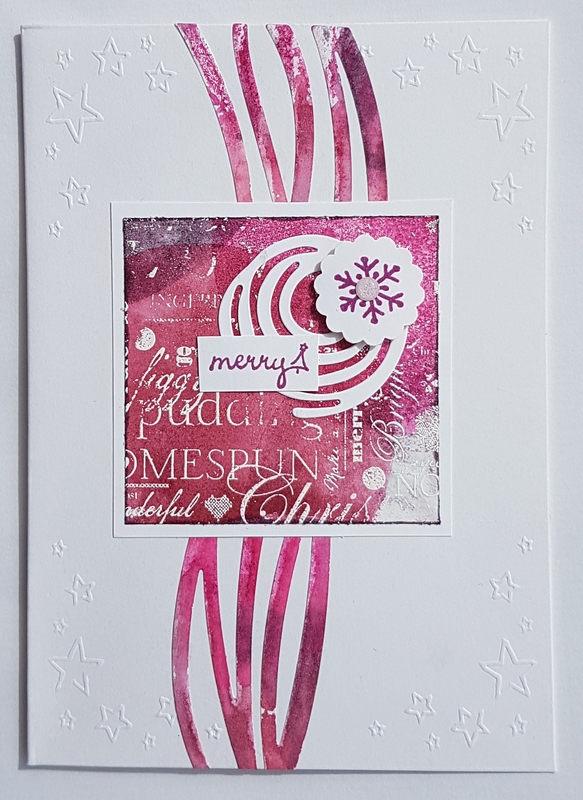 Once I had heat set the embossing I started added ink in bright pinks and purples using a mini round gelli plate. I love the effect this gave of overlapping the colours but keeping some defined edges a bit like patchwork. I then cut them into panels… two ATCs and two squares. The ATCs I made little embellishments from the Festival of Trees stamp set and matching punch. For the squares I chose die cuts to add features. I also die cut a little bit of the inked paper left over using the swirly scribbles thinlits to provide the contrast swirls against the white card blanks. 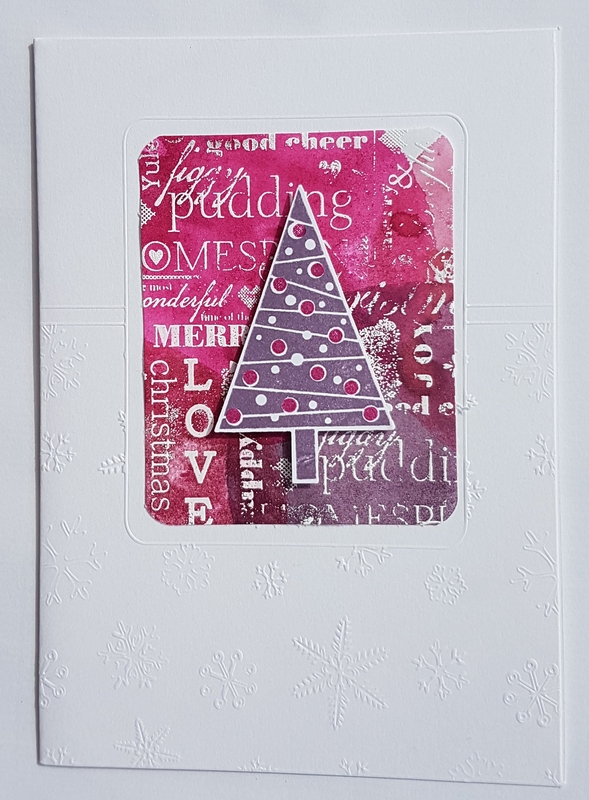 I mounted the card toppers onto some pre embossed card blanks and added touches of glitter to finish. Love love love these modern and fresh cards. Love those swirls across the white background.